If you are looking to update your home, then you have a number of options. 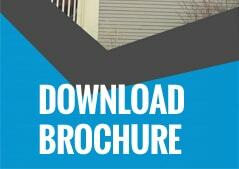 Roofing, siding, and insulation are popular choices when it comes to making a home more efficient. However, if you want to see a big change in the amount of energy you are spending on heating and cooling, than you should serious consider replacing your windows. There are a lot of choices when it comes to finding a window contractor Countryside IL. The challenge is finding the right company that can not only provide an excellent product, but install it in a quick and professional matter. Lets also not forget about the price. While it may seem impossible to find a company that has everything, you are in luck. 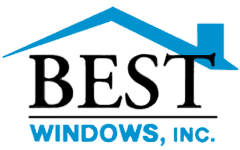 With over 15 years of experience serving the community, Best Windows Inc. is here to help you with all your windows needs. Lets take a moment to review our company’s experience, the benefits working with Best Windows Inc., and the superior quality windows we use in our business. Best Windows Inc. centers around installing, replacing, remodeling and working on siding with windows. Focusing on the windows in your home, we strive to provide the very highest in quality and customer satisfaction with every job. Our care and attention to the needs of our customers are reflected in our outstanding relationship with the BBB, our Energy Star rating, and our recent 2014 Angies List award for superior service. We know however that for our Countryside clients, we are only as good as the current job. That is why Best Windows Inc. works to make every job have the time and attention it deserves. Unlike our competition, we will also not hassle or pressure you into a sale. We understand that this process requires time to think, and we will provide whatever information you need to move forward. Being that we produce the windows we use, there is no middle man or commission. As a result, we can pass on these savings directly to our customers. When combined with our ultimate goal to provide quality service, quality products, the best warranty, and the fastest delivery, it is easy to see why Countryside residents rely on us when they need to job done right. Our window design incorporates low E coated glass filled with argon gas. The design helps to regulate interior temperatures better then the competition. In addition, the NFRC U-rated .27 or below aids in how much protection your windows provide for interior furniture. Along with a tilt-in feature for easy cleaning, our windows are incredibly easy to handle. Finally, a foam-filled frame and sashes help to provide an additional level of insulation for your windows. Please give us a call at (708) 204-2446 if you have any questions. In addition, our website has a number of client reviews as well incase you are interested in what past Countryside residents thought of our previous work. Come experience why we are the best window contractor Countryside IL.